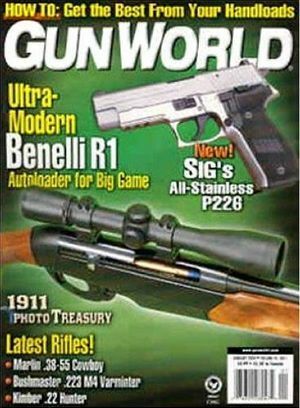 Gun World Magazine is devoted to shooting, hunting, classic firearms, reloading, gunsmithing, and accessories. Each issue of Gun World magazine includes how to articles, product and component evaluations, as well as special reports on significant issues. Gun World magazine features regular columns on handguns, collectibles, knives and gun legislation. Gun World Magazine covers the world of firearms. Each issue of Gun World Magazine features columns by popular firearms writers, product reviews, articles on hunting and outdoor use, as well as popular tactical armaments and accessories.